A warm welsh welcome to everyone, from Borth Community Information Website, looking at the history of Borth Village, a Ceredigion seaside resort, trying to provide up to date details of 'What's Going On', in this beautiful part of Wales, by the Local Community, for all residents and visitors to Borth, also including surrounding areas all year and during the holiday season. The Council and residents of Borth try to keep the Village as tidy as possible, but at times of large visitor numbers, litter and dog mess can be a problem especially on the main High Street and the Beach, more litter bins have been requested, and some businesses have been encouraged to put bins outside their premises. Please be advised about the seasonal dog restrictions on Borth beach between the Cliff and the YHA from 1st May till 30th Sept inclusive, we are trying to get the signs upgraded A.S.A.P. in the mean time please view the pdf page from Ceredigion County Council Click Here: Borth Beach Dog Restrictions Residents have been requested by the authorities to report anyone who does not pick up after their dog messes on public pavements or Beach areas etc. There is a car park opposite Brynowen Holiday Park which is Free with no time restrictions, parking signs are not very clear (we are trying to get this sorted) Free parking is allowed along the sea wall with no time restrictions, just after you enter Borth from Ynyslas. Borth Community Hall car park is available to visitors, and has 42 free spaces, look for the Uppingham Fields sign. Borth High Street parking spaces get filled quickly in the holiday season, there are no parking restrictions other than single and double yellow lines, entrances and exit outlets and disabled spaces outside the medical centre. Borth has a varied and exciting community life with something for everyone, of all ages and interests. Browse through this site and be surprised by what Borth can offer you. As a seaside resort the lifeboat crew are a vital part of our community. Explore the history of our brave crew and the new Coast Guard & Borth Lifeboat Station building itself. More volunteers needed at the moment, if you have what it takes, please make enquires, and you'll be most welcomed. Welcome to Borth Animalarium , one of many attractions in Borth. Come and visit our endangered and exotic animals, you can feed some of them, or even get your hands on a snake if you dare! The doctors’ Surgery is based in Borth Surgery at the heart of the village, in a modern building. Situated perfectly for your convenience with the Borth pharmacy right next door. 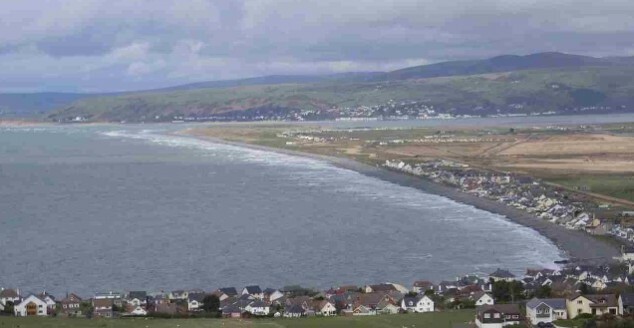 Borth has an active sporting community from indoor bowling to golf and surfing. We have a Football Club, Borth United & Reserves. 1910 was the year the 1st Borth Sea Scouts were formed, became 2nd Borth Scout Group and so over the last 100 years, they have travelled far and wide. Memorable centenary celebrations took place in 2011. Take a look at what's available and you are most welcome to join in. Borth Community Hall hosts many activities such as The Senior Citizens, The W.I., Senior and Junior Badminton, Age Concern Exercises, The Royal British Legion (Borth Branch), Yoga, Tai Chi, Gwerin y Coed, Low impact & mixed ability Aerobics, Model planes, Borth Family Centre, Bowling Club, Borth United Football Club, Stand & Football Pitch, Women's Football Training, Junior Football Training, 1st Team Training, Circuit Training, Private or Public meetings, Local Polling Station, The hall and rooms are for hire, public or private use, and of course the annual famous Borth Carnival 1st Friday in August congregates on the Uppingham Playing fields, for activities, prizes and refreshments. Diolch yn fawr. / Thank you very much.